$2.00 off Gluten FREE Udi’s Foods! Do you or a family member have Gluten FREE dietary restrictions? 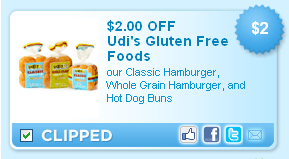 Check out this coupon for $2.00 off Gluten FREE Udi’s Foods. CLICK HERE–>$2.00 off Gluten FREE Udi’s Food to print yours. It looks like they carry it at many larger retailers. Visit their Store Locator for more details. Only available for a limited time and while supplies last. $.75 off Coupon for Barilla Pasta Sauce! Make Sure You Print Twice! 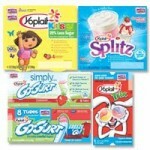 75¢ off Coupon for 2 Yoplait Kids Products! Haribo Gummies $.30 Coupon is back! After Coupon Around $.70 at Walmart!